December | 2013 | In Gaza, My Gaza! Five Years After the Cast Lead Operation: ‘Gaza Writes Back’. 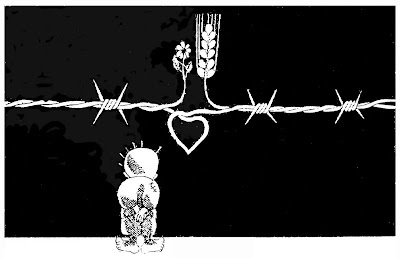 Why Gaza Writes Back …on the fifth anniversary of Israel’s bloody ‘Cast Lead’ war against Gaza. 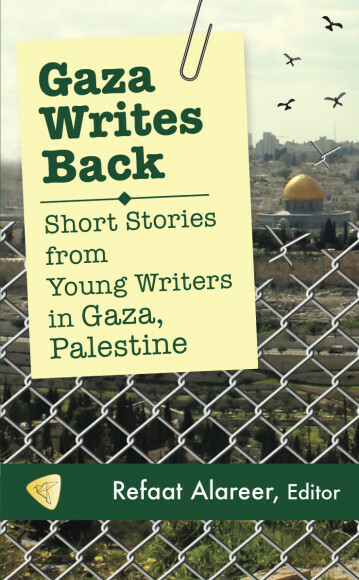 Gaza Writes Back is a collection of short stories written by young writers in Gaza, Palestine, edited by Refaat Alareer and published by Just World Publishing in the US. ‎"If he's one of ours and he's under 30, even if he's wearing a uniform and carrying a gun, he's a youngster or a boy: one of OUR BOYS. If he's one of theirs, he's a terrorist, even if he's 12 years old and standing, with or without a rock in his hand, in a schoolyard. This is how dehumanization happens: word by word." -Deb Reich in "No More Enemies"
Israel arrests two Palestinian ladders, yes, you heard right! alla fine di un blitz nella notte. When life gives you lemons, make lemonade and mix it with fresh mint. Blog for the book, the U.S. tour, and more! Because our children deserve better lives.